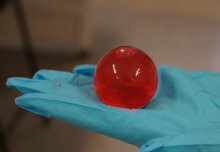 Preventing reservoir evaporation during droughts with floating balls may not help conserve water overall, due to the water needed to make the balls. During droughts, communities may rely on water stored in reservoirs. 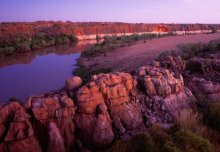 However, significant amounts of water can evaporate from the surface of the reservoir. 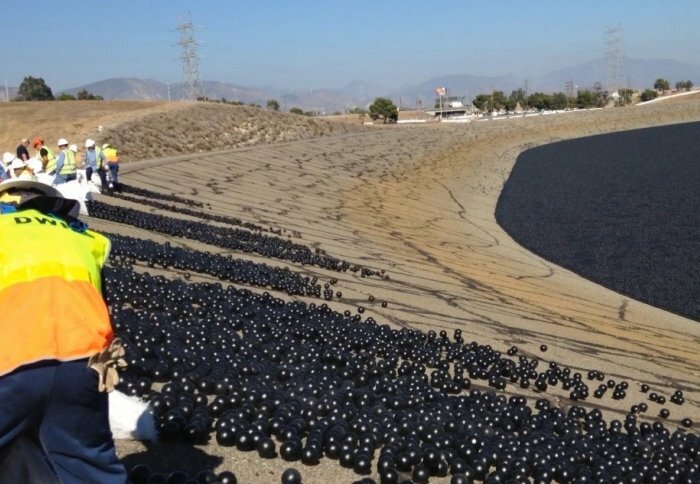 Amid California’s latest drought, which lasted from 2011-2017, 96 million ‘shade balls’ were deployed on the Los Angeles reservoir. These floating, black plastic balls cover the water surface to prevent evaporation. However, a new study published today in Nature Sustainability shows that producing the balls probably used more water elsewhere than was saved during their deployment – which could have knock-on environmental impacts. The balls were deployed on the reservoir for one and half years during the latter part of the drought. For each drop of water saved by the balls, however, the study estimates that more than one drop would have been used up in another part of the country or the world. The shade balls are made of a kind of plastic that requires oil, natural gas and electricity to produce, all of which require large quantities of water. Producing 96 million balls of standard 5mm thickness would use up to an estimated 2.9 million cubic metres of water. During their time on the reservoir, the balls are estimated to have saved 1.7 million cubic metres of water. The study team from Imperial, M.I.T. and the University of Twente predict the balls would have to be deployed for two and half years before the water they saved matched the water they used. 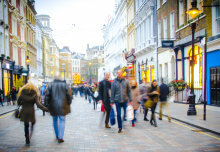 However, this is only if they were preventing evaporation at the same rate even outside the dry period; when not in drought conditions, the balls are expected to be less efficient at preventing evaporation, meaning they would have to be deployed for longer to save as much water as they used. This is alongside other potentially negative effects on the water, such as affecting life in the reservoir or promoting bacterial growth. In addition, the balls’ production could have negative effects on the environment associated with water pollution or carbon emissions. ‘The water footprint of water conservation using shade balls in California’ by Erfan Haghighi, Kaveh Madani and Arjen Y. Hoekstra is published in Nature Sustainability. New Atlas: Could water-saving "shade balls" have a shady side?